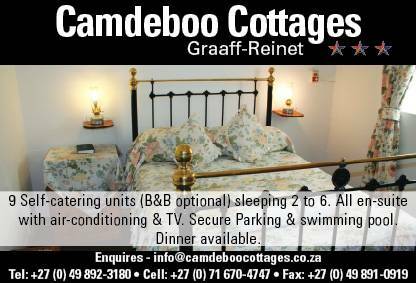 Camdeboo Cottages is situated in the heart of historical Graaff-Reinet. Each cottage is a national monument that has been lovingly restored to its former glory. All units have aircon & in the winter all beds have electric blankets. All units have a lounge with TV, a fully equipped kitchen & secure parking. 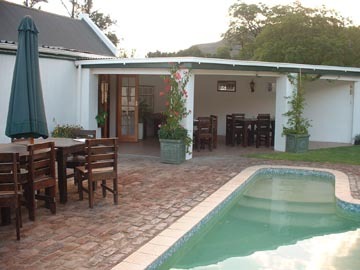 Camdeboo Cottages has a restaurant & bar, a swimming pool, secure parking and B&B or self-catering accommodation. Tours are also on offer to the nearby highlights such as the Valley of Desolation, Agava (Tequila) Factory and Camdeboo National Park. 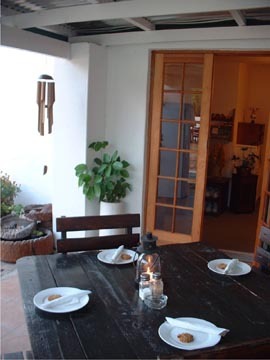 Come and enjoy a relaxing time in the Gem of the Karoo, as Graaff-Reinet is fondly called. Take time to relax and stroll through the streets and see the more than 200 homes that have been declared national monuments or visit the interesting museums in town. No one can leave town without a taste of Withond our local house-drink. Come and enjoy the delights of the Karoo and explore South Africa's newest National Park, the Camdeboo National Park. 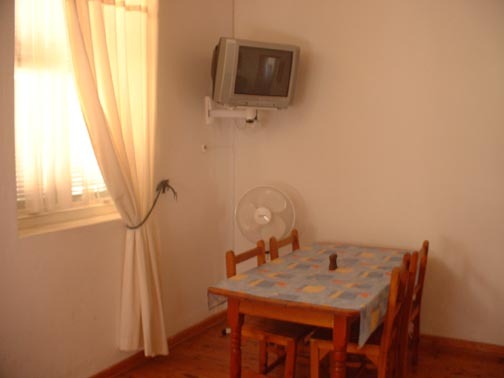 All cottages have a television, a fully equipped kitchen, a lounge/dinning room. A 3 bedroomed house, each with an en-suite bathroom is available - fully equiped kitche, dinning room, television lounge, garden & Braai (barbecue) facility available. Cottages with 2 bedrooms, sharing a bathroom is available. Graaff-Reinet is situated en route from Johannesburg to Cape Town in the Eastern Cape Province. Many people stop over while traveling to or from the Garden Route. Graaff-Reinet also boasts with the Valley of Desolation, which is a geographical phenomenon that has been declared a National Monument. Other highlights include, game viewing and numerous museums in town. For the more adventurous there’s quad bikes and micro light flights. Local cuisine - Springbuck & Karoolamb is the house favourites. Rate is for a cottages that sleeps 2 Adults. 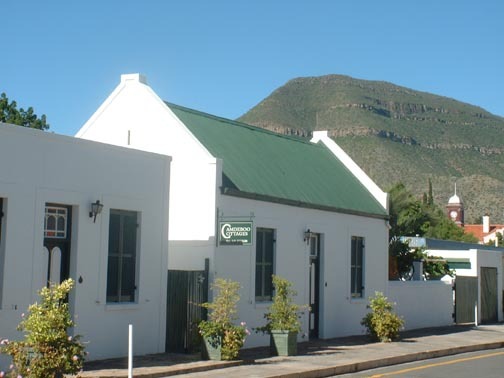 If travelling the North (Johannesburg or Bloemfontein), upon entering Graaff-Reinet proceed down Market Street, until you reach the T-junction at Uquahart House. Turn right in Somerset Street, continue straight until you reach the four-way stop. Turn left in to Church Street. Then turn right at the first street on the right, Parliament Street. Parliament Street is situated between the Drostdy Hotel and Post Office. 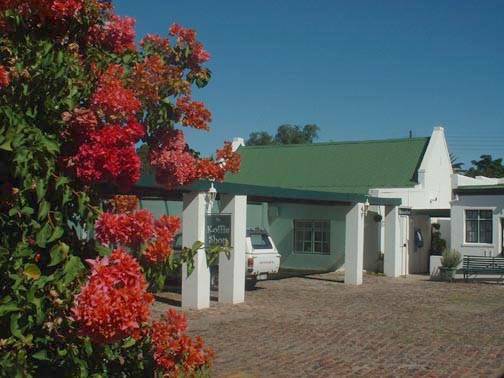 Camdeboo Cottages is situated on your right at 16 Parliament Street. If travelling from the South (Cape Town or Port Elizabeth), upon entering Graaff-Reinet, proceed straight up Church Street towards the Dutch Reformed Church. Turn left at the first street past the Drostdy Hotel, Parliament Street. Camdeboo Cottages is situated on your right at 16 Parliament Street. If you need any further assistance please call - 049 8923180. We have two bus services that travel to Graaff-Reinet - Translux and InterCape. However they arrive in the early morning hours (3 - 4am). Not ideal for travelling.